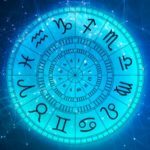 While your mood will rarely affect the accuracy of a reading with a true psychic, those times when a caller is feeling really negative or highly emotional can make it hard for many of us to get as much insightful and detailed information as we do when you’re quiet, centered and grounded. When I’m reading someone who’s extremely angry or upset it sometimes feels like I’m trying to see in a sandstorm. It’s like I’m being pelted with hurt, anger, frustration and particularly intense subconscious thoughts about what a caller wishes they’d said, or want to say, or want to do… in response to what has upset them. It’s not directed at me, but it can still clutter up my psychic vision big time! The most difficult challenge can be trying to read someone who is driving to a meeting that has them worried or upset. 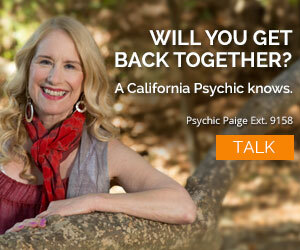 For a good reading, pull over and park for a few moments while talking to your psychic! If you’re concentrating on driving and talking and the encounter you’re dreading, or the pet or spouse you’re scared you won’t find… you are unlikely to get as much accurate information as you will when you focus solely on the conversation. However, most psychics do understand that sometimes you just have to process and you don’t have time to park the car. If what you need right then is a non-judgmental sounding board, or an on-the-fly reading, then it’s our job to help you to the best of our abilities. But even more than concerns about how moods affect readings, callers worry about whether their longings, their intense desires and goals, can cause a psychic to get a “false positive” regarding relationship, career or financial questions. As one caller said recently, “I really, really want this relationship to work, and if you tell me it won’t work I will probably cry. But I want you to tell me the truth anyway, because I need to know if I’m wasting my time, so don’t dress it up or make it sound better just to make me feel good.” I’ve had callers hang up on me when I predict positive outcomes, while others say “That’s okay, just tell me the truth!” when the truth that I actually see is what they want but are afraid to hope for. One of the best ways to be sure you’re not getting a false positive is to ask detailed questions. Rather than simply asking whether or not a relationship or career choice will work, have some options in mind. For each option, ask questions like: What is the likelihood that a particular dream or idea will work out for me? Why? Why not? What options do I have for affecting the outcome? What are the obstacles to my goals, from me and from anyone else involved? Or, most important (before you hear the 1-minute beep! ), is there anything else that I need to know? Whole worlds can be opened up with that question! When you expand beyond simple yes/no questions, your energy field opens up, providing broader vistas for your psychic to read. You also become more willing to hear about alternatives and subtleties that your psychic can see but which you might not be able to consider fully when you’re focused on getting a hard and fast yes/no, pass/fail answer. Even if you’re not in the mood to hear about it right then, the Universe must want you to know about a new relationship waiting in your future, or your psychic wouldn’t be getting the information. Perhaps your awareness of a fabulous job opportunity, which is waiting to be discovered, will affect your next moves and make the new opportunity more possible. Or maybe you never considered a change of residence, but that move will link you up with members of your soul family who are waiting to welcome you. Whatever techniques and tools we use, whether we talk to angels or use astrology or hook up to universal energies by holding a crystals, psychics can access a perspective which is broader than ordinary, every day reality. We can see probable futures, we can understand hidden motives and psychological blocks, we can see where your decisions will probably lead, and we can almost always also see possibilities beyond what you’ve been able to imagine! And I think that’s the most amazing magic of a psychic reading. What’s been your experience? Have your moods affected your readings? Hi can you tell me a little bit about how you see my future with love? money? home? nice read ur redingh.i alwayes tautch with ur read.i feel my track write.if u say it is nagtive how can remove it. This information is very helpful. I have had several readings about the same person and I was given to different readings. I was so confused I decided to turn the lights off and relax and call for another reading. The third reading the same exact same as the first reading I received. Thereafter, I always turn off the lights and close my eyes when I am receiving a reading. but the direct answersI too pick up the vib. from the caller as soon as I hear their name. In my experience the best way is to center myself again after I’m in tune with them, I take a deep loud breath, which makes them take one without realizing, then I answer as quickly as I can until they have calmed down a bit, so that I can go deeper. I find that if someone is uptight or is testing of me, they are not open to anything I have to tell them they seek. Very nicely said Verbena. As a medium and a coach, my first intention is to facilitate a persons healing. I have had callers hang up on me for delivering what I knew to be the truth, but after a while it bothers me less and less. I have decided to stay on track with my advice. Be open when you call a reader, especially the ones on this line. They are a dedicated, conscience, group and have your best interests at heart. If you are open and have questions, you will leave the reading feeling 10 times better, and with more information that you thought possible about your current situation. Of course, I too agree with these great ladies. If people bring anger or hostility to the reading, it causes me to kind of go into psychic protection mode, because I too am an empath. I too get bodily sensations or feel ill when someone is anxious. Of course, it is understandable to be anxious as a client, and I understand the reason why someone may be angry,upset, crying. But, to focus on the reading, it helps if the client is clear, breathes and listens! Often times, people interrupt because they may be excited or have a limited amount of minutes. 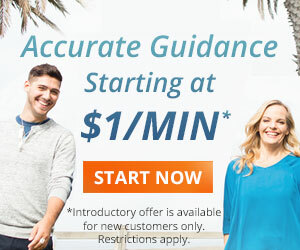 But I tune in quickly and can help rather fast. Often times people try to steer the reading in the direction they want, when the universe has a completely different plan. taking the time to be calm and listen, really results in a better reading. And I am very calm and patient by nature so it helps to have that kind of flow of energy. Also, it is very rewarding to get someone who is intially in a bad state and talk them through their issues. We are here to be your advisors and friends, so breathe and relax and enjoy! It is your time to take care of yourself, much like a facial or a massage. In this “protection mode” I envision a strong white light around me. This light is like billions of little stars that collectively shield me from negative and hostile “attacks.” I am able to continue the reading, but often these callers are seeking a connection that will justify their negativity. When they realize that I can not connect with them on that plane, they may hang up or decide to end the reading. Honestly, there have been times that I have had to end the reading myself. This is rare, but I learned my limitations a long time ago being an Empath Psychic. Strong negativity and hostility are my personal enemies. These things can drain me and even make me physically ill for days after. Sometimes, I will have a strong connection with a caller who is involved with a negative person. I can always sense this and can understand my caller even more; I often tell them to protect themselves with the “bubble of light.” My feedback has been very positive about using this “protection” shield. I believe that psychics go through many stages in their lives related to how they utilize or deal with their “gift.” To be an effective reader, we must understand what our limits are, and categorize our specialties in a way that will enhance our readings and give our clients an honest, accurate and complete reading.